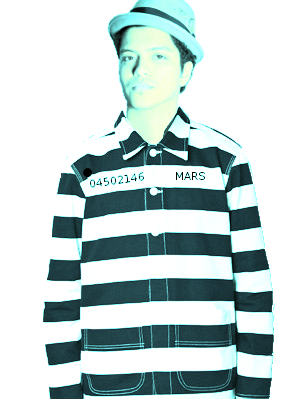 This entry was posted in Music, Music Theory, Songwriting and tagged alteration, bruno, deconstruction, frankenmusic, mars, music, pop, reconstruction, rich, Simplicity, songwriting, theft. Bookmark the permalink. I like the art of simplicity — actually in all things! Within simplicity, subtle structures can emerge and become something altogether rich and deep! I think the idea that Robin Thicke stole anything has been grossly overstated and the courts were very wrong in this decision. Blurred Lines sounds similar to Marvin Gaye’s song but really, not close enough. I’ve listened to Nirvana and found chord progressions taken note for note and beat for beat from older punk songs. Nobody sued Kurt Cobain. Thicke’s song isn’t really even that close! And how many songs did Marvin Gaye compose that was similar to other artists of the time? It’s a genre of music and he wasn’t the first to create it. It was an organic process that came out of collaboration with his peers and built out of artists before him. Blurred Lines might be a crap part of that artistic progression but he’s no thief. If he’s a thief then we need to put David Bowie right in jail. Or Madonna. Or everyone. Sadly, this is another informative and accurate post. “Sadly” because I abhor hacks who can’t come up with something original and so copy others (surprised you left out one of the most famous of these, Ray Parker Jr). You left out one method btw, I’m guessing because it’s less likely to “make a songwriter rich” (but the most highly regarded)…for lack of a better term I’ll call it the “Michelangelo”…it’s not copying anything from anyone, but simply coming up with something original on one’s own. What a concept! Nice! That’s my favorite too!